Eleanor G. Wevodau, 93, formerly of Apple Valley, died Tuesday, January 22, 2019 at St. Ann’s Hospital, in Westerville. Eleanor was born August 9, 1925 in Harrisburg, PA to Bruce and Elizabeth (Patton) Gantt. She graduated from William Penn High School in Harrisburg in 1943. 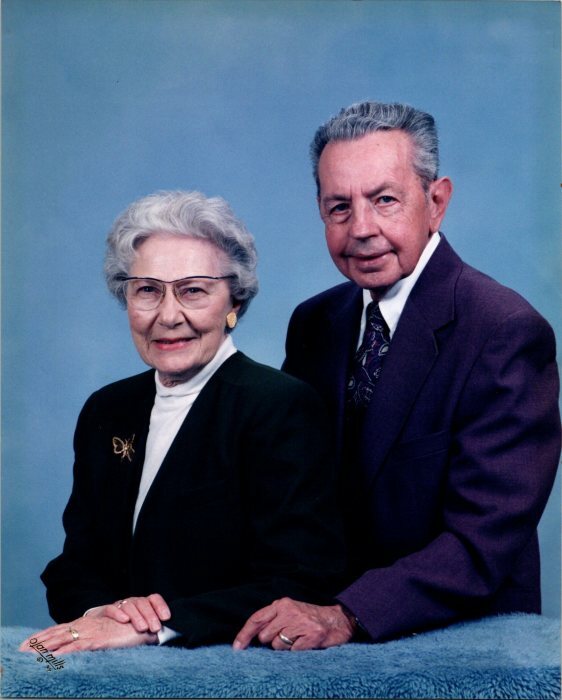 She married Fred Wevodau Sr. on June 26, 1946. They were married for 56 years before he passed in 2002. Eleanor was a loving homemaker, and always put her family first. She and Fred were members of Grace Lutheran Church in Westerville, and Faith Lutheran Church in Mount Vernon. Eleanor was an avid card player, and loved playing Bridge with her friends. Eleanor will be deeply missed by her children Fred (Linda) Wevodau of Parker, CO., Pamela (Thomas) Kinsel and Paula (Douglas) Ewart both of Canal Winchester, and Patrice Kelley of Gahanna; twelve grandchildren; fifteen great-grandchildren (and one on the way). Private services will be held at Roberts Funeral Home Mount Vernon Chapel. Burial will be at Mount Vernon Memorial Gardens. Memorial contributions can be made to the COPD Foundation COPD.org 3300 Ponce de Leon Blvd. Coral Gables, Florida 33134. Online tributes may be made at www.RobertsFuneralHome.com.